The USIU-Africa Pharmacy program is designed for students who wish to pursue careers in different pharmacy practice settings, management and research. In particular, both the industrial and hospital arms of our program have been so enhanced as to bring out the best of knowledge, skills, ethics, values, style and success in our graduates. The program focuses on the development, application and effective management of Pharmaceutical technology as a fundamental tool of modern healthcare. This is why USIU-Africa has invested heavily in the best equipped laboratories and library of any pharmacy program in the region.. The Bachelor of Pharmacy Program is designed as per the requirements of the two accrediting bodies, the Commission for University Education (CUE) and the WASC Senior College and University Commission (WSCUC). 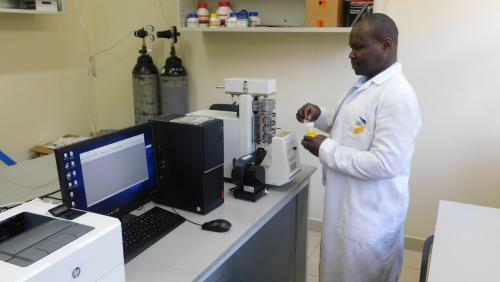 The USIU – Africa Bachelor of Pharmacy is also accredited and regulated by the Kenya Pharmacy & Poisons Board. The B Pharm programme at USIU – Africa is delivered through face to face learning and applying multimedia teaching strategies. This enables to model holistic professional pharmacists currently desired who measure up across the entire spectra of the Pharmacy profession from Pharmacy education, Clinical Pharmacy, Industrial Pharmacy and Pharmaco-economics. This is achieved by the expansive state of the art laboratories for different specialties well equipped for analytical work in areas of Chemistry – Atomic Absorption Spectroscopy, Flame photometry, Fourier Transform Infrared spectroscopy, Gas Chromatography, Elemental Analyzers, Poentiostat and Thermo-Gravimetry Analyser; Pharmaceutical Analysis – Polarimeter, digital tablet hardness tester, Disintegration/dissolution apparatus, HPLC: Physiology / Pathology/Anatomy – Kymographs, Opthamoscope, Power lab teaching system, electrocardiograms and the Langedorf among others. Additional teaching infrastructure like no other in the region entails a Pharmacy Skills Laboratory for students’ skills development in handling patients alongside a Research & Development Unit that mimics the pharmaceutical manufacturing set up. Applicants must have met the minimum entry requirements for the pharmacy degree course in Kenya. Applicants must have obtained an average weight of B- provided that no subject in this cluster shall have a grade below C+. A minimum of two principal passes in Biology and Chemistry and a subsidiary pass or credit pass at “O” level in Physics or Mathematics. A mean grade of C in KCSE with a minimum score of C plain in each of the cluster subjects above and a credit pass in the following qualifications from training institution recognised by the Pharmacy and Poisons Board. d. Holders of degree in Biological Sciences or equivalent from a recognised University. e. The provisions of the PPB Credit Waiver Policy Guidelines shall apply. This curriculum shall be administered in English. This means applicants from non-English speaking countries must sit and pass English assessment examination set and administered by institutions recognised by the Pharmacy and Poisons Board. 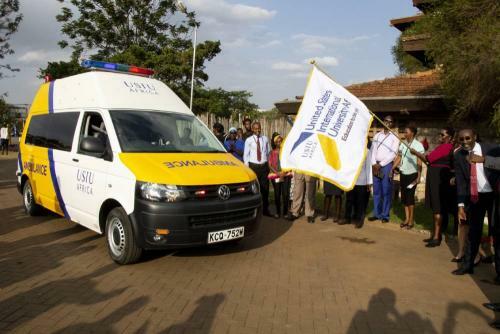 The USIU-A BSc. in Epidemiology and Biostatistics is designed to teach the fundamentals of both Epidemiology and Biostatistics at undergraduate level, and the pursuit of epidemiological research knowledge in areas like population-based clinical or interventional research and analysis. The program is aimed at creating a “set to go 3-in-1” professional with dual knowledge and ability to support health research from data collection all the way to analysis and presentation. The BSc. in Epidemiology and Biostatistics is a four-year program comprised of 58 courses with 16 practical sessions, including a practical sessions in Pharmaco-epidemiology and Drug Safety, the cornerstone of treatment of diseases. In addition, students will undertake eight (8) mini-surveys and industry attachment as a requirement to graduate. Upon graduation, they will be able to: use epidemiologic knowledge and skills to respond to a variety of practical situations that impact on public health; employ biostatistical methods to respond to public health issues; apply appropriate laws and ethics in assuring population public health; interpret research results of statistical analyses in public health; use relevant statistical software to organize, analyze, and report on life science research data; and develop plans for data management and analysis using appropriate statistical techniques. Graduates from this dual program will have a wide range of career options: they are in high demand in Universities to research and teach health and health-related professions; in Government, especially National Health Services, to lead and/or support in all health-related areas, including the practice of public health and preventive medicine; in Non-Governmental Organizations to refine methods of measuring and evaluating disease occurrence, development and recommend public health policy; in Health Management Organizations to inform on diagnostic-related groups and management policies; and in International Healthcare Agencies and Industry for contract research related to pharmaceuticals, biotechnology, medicine, health care, clinical trials, health education, software development and other specialized sciences and medical fields. One unique feature of this program is in the courses such as Biostatistical Consultancy, Strategic management and Entrepreneurial Behavior and Ethics, which will prepare graduates for leadership positions and self-employment. Unlike the common perception, USIU-Africa programs are very affordable. Visit our website, www.usiu.ac.ke, for the latest information on fee structure and application procedures as well as the admission requirements. Like all other USIU-Africa academic programs, BSc. Epidemiology & Biostatistics has dual accreditation in Kenya and the United States of America by the Commission for University Education (CUE) and WASC Senior College and University Commission, respectively. The BSc. in Epidemiology and Biostatistics at USIU-Africa is delivered through face to face learning and applying multimedia teaching strategies in classrooms with LCD projectors, whiteboard, marker pens, and audio visual equipment. Students use well-equipped computer laboratories with the following statistical computing software: Microsoft Excel, SPSS, EpiInfo, R-programming and NVivo (for qualitative data analysis). In addition, student are encouraged to have laptops with SPSS and other statistical/computing packages installed. Students have access to e-learning platform through the Library for peer-reviewed journals. Teaching of epidemiology and biostatistics involves data collection and analysis as well as review of articles in peer-reviewed journals. Be a holder of a KNEC Diploma or its equivalent in Epidemiology and Biostatistics. All applicants must complete the application for admission and submit it to the admissions office. A non-refundable processing fee must accompany the application. Students from abroad are advised to purchase an international money order drawn on a US bank for USD 50 to pay the non-refundable processing fee. Students may also wire the non-refundable processing fee the University bank account.